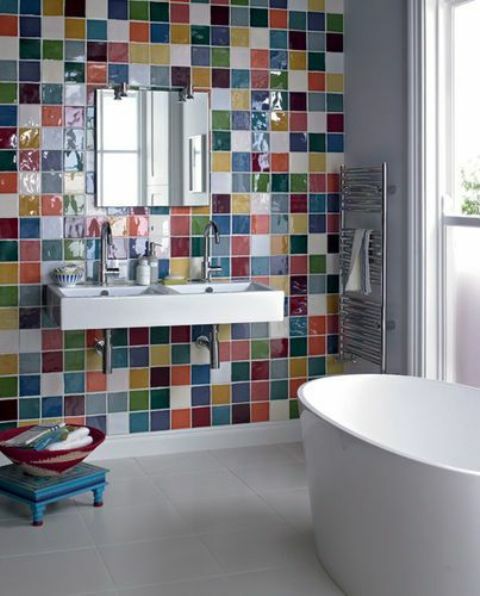 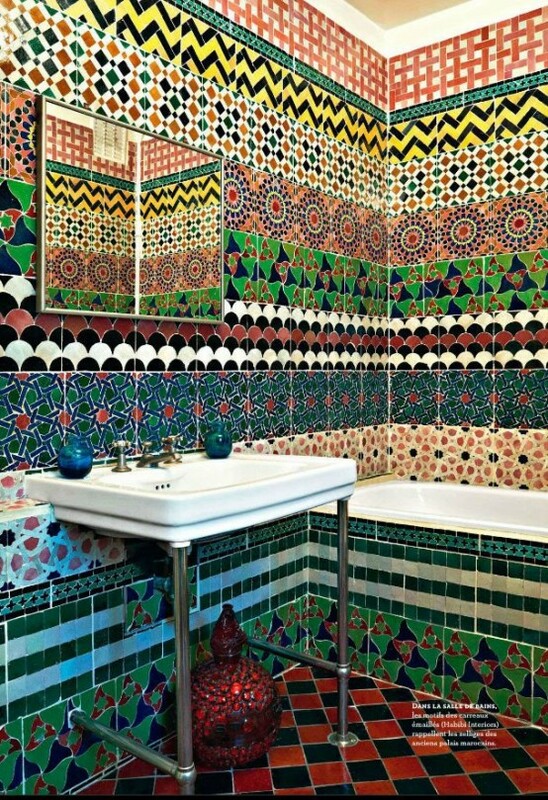 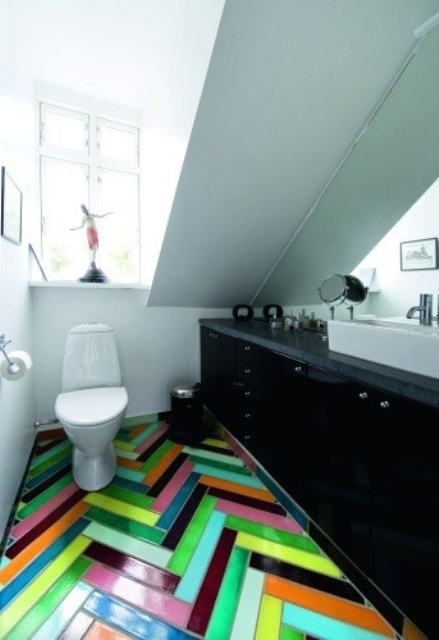 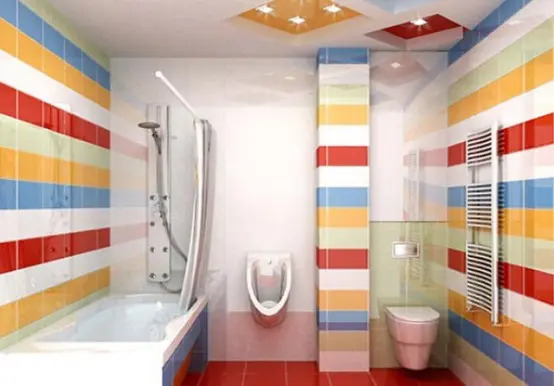 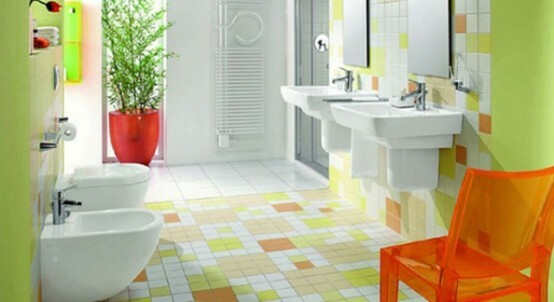 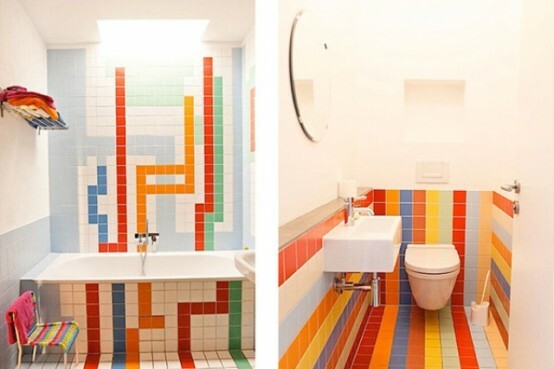 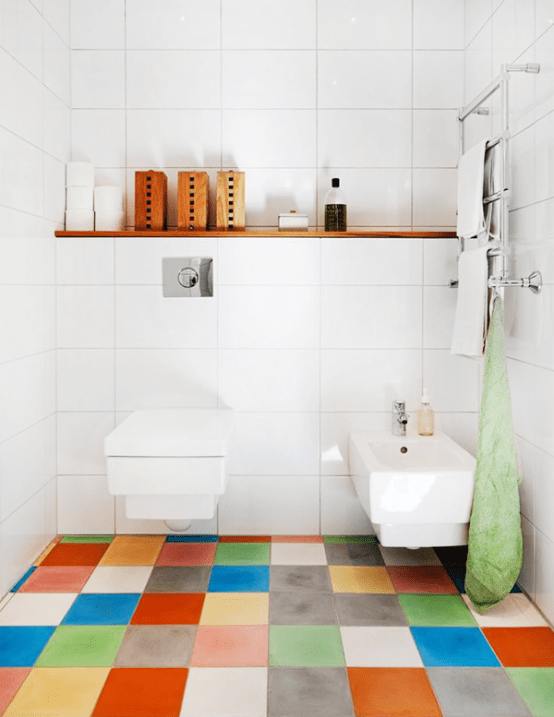 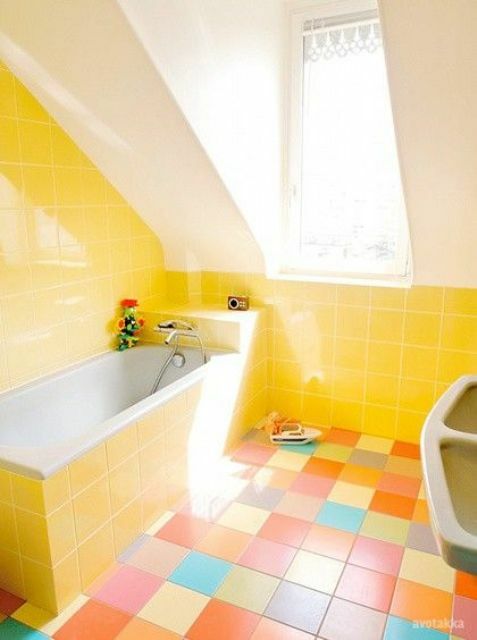 We got used to bathrooms with tiles in one colors or maybe two – but what about a multi-colored bathroom? 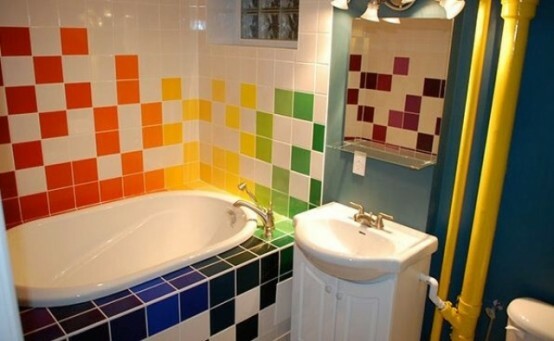 Ready to rock the colors? 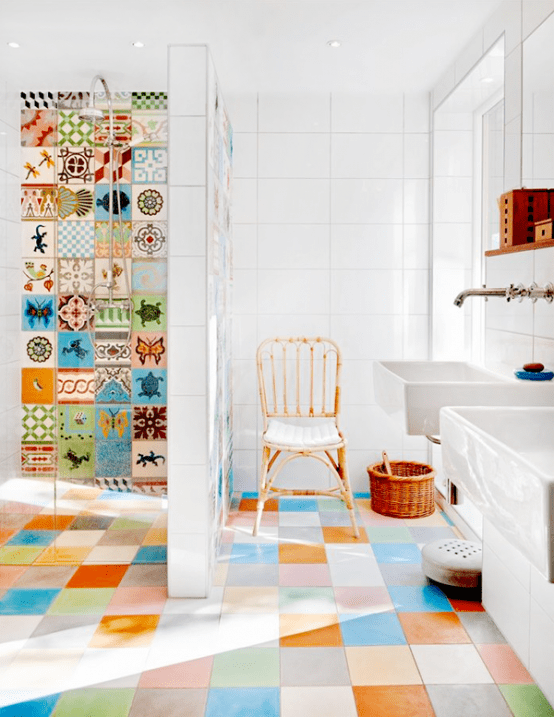 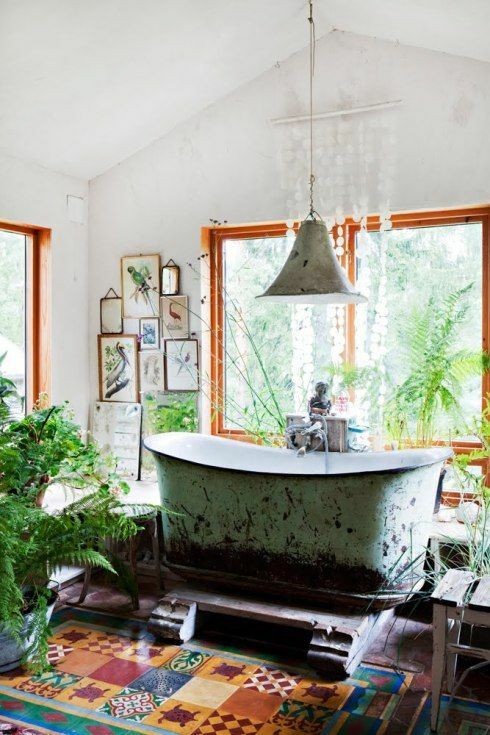 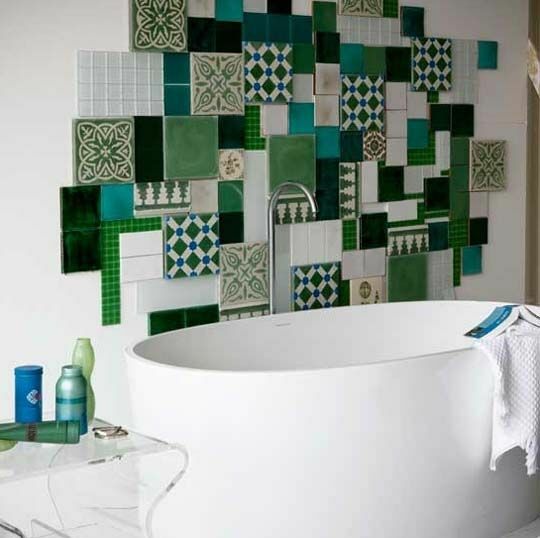 It’s spring now and it’s time to refresh your bathroom with stunning, even crazy colors, so choose various tiles and decorate your bathroom with them – just check that they are of the same size and shades but various patterns or, on the contrary, different colors. 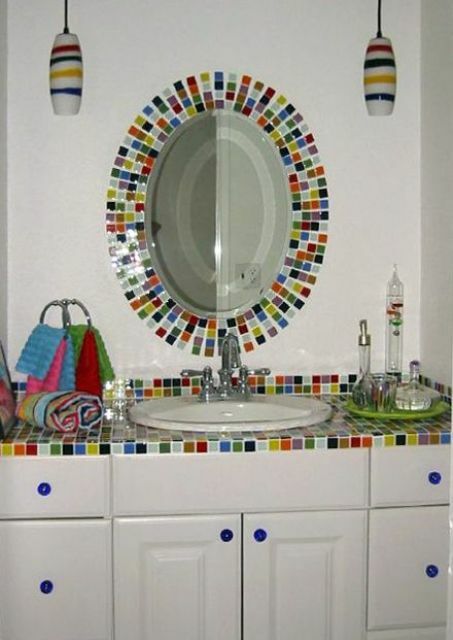 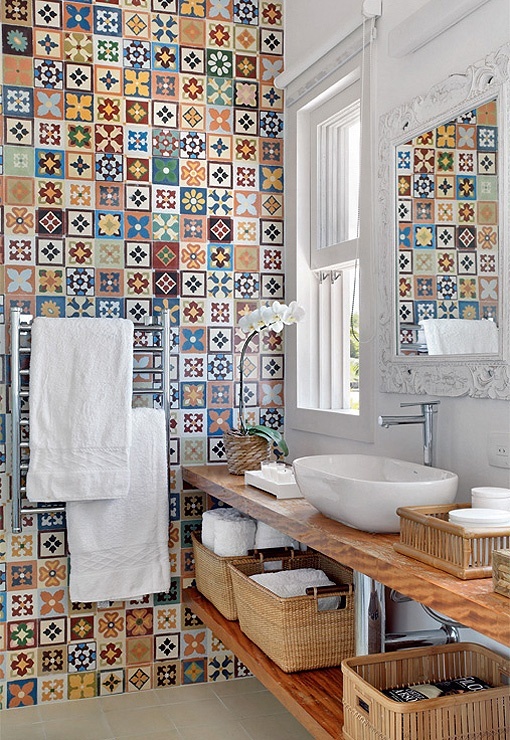 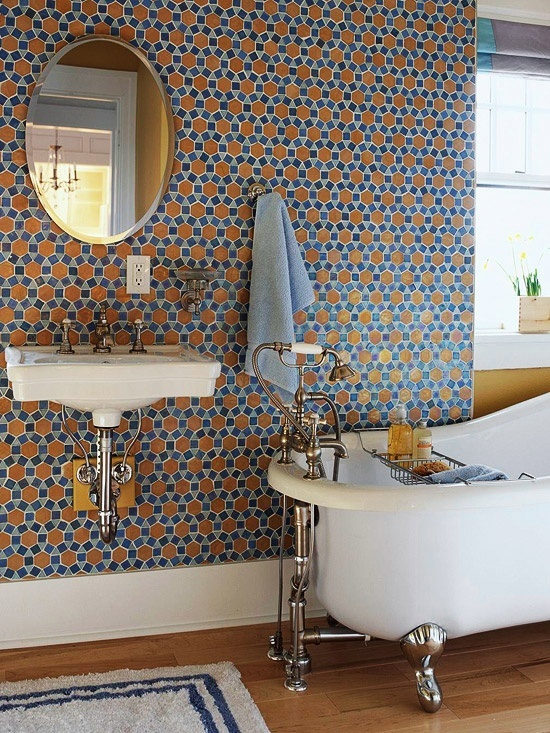 If you don’t want too many colors, attach the tiles just in the shower, a mosaic above the sinks or the floors. 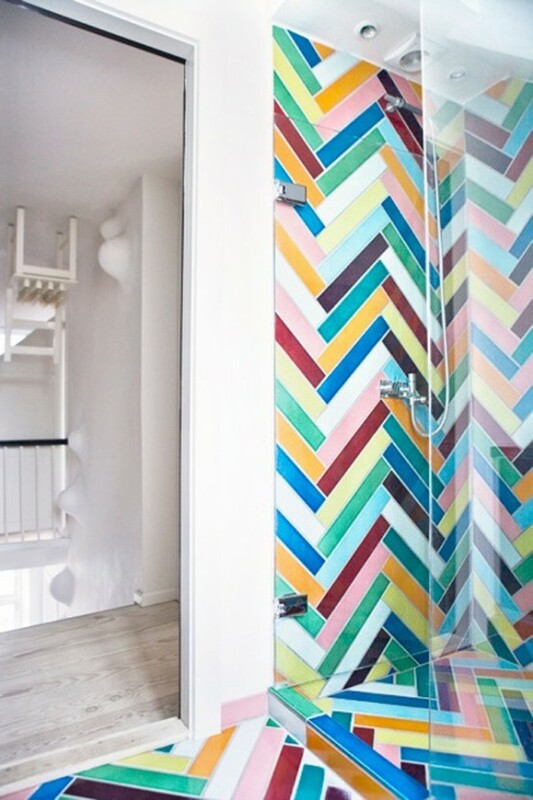 Below you’ll find some cool examples, so get inspired!